REFLECT: Are you part of the "aroma of Christ?" How do you know? 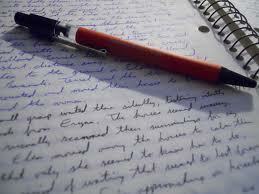 RESPOND: Write a brief biography of yourself that is extremely personal - only for your eyes. Then, read the bio to God in prayer. Telling God everything is a daily exercise for me. Here is the author of my life and I am trying to give him the "pen" all of the time. I realize after much struggle how utterly dependent upon God that I am. I need my father in Heaven and I need him constantly. I pray that I will continue to be able to seek the Lord all of the days of my life. I love you Lord!